By 2020, buildings that are adequately prepared for 5G deployment will become the buildings of choice. To future-proof buildings, owners and developers should include cable pathways and hardware access for future deployment in all new building designs. Empty conduits installed during construction will allow the pulling of fiber-optic and copper-based media once the standard and product offerings have evolved. In-building cellular DAS to support 3G and 4G technologies should continue to be included in building designs. This will enable millimeter (mm)Wave signaling, which delivers more localized indoor coverage when compared to the lower spectrum bands currently being used for cellular connectivity. The 5G mmWave system will require tight integration with lower bands to ensure a seamless user experience. 5G will deliver this tight integration via dual-connectivity in which multimode type devices, including subscriber phones, will simultaneously connect to both lower bands and mmWave bands for additional bandwidth and capacity boost. 1. Focused spaces, such as conference rooms, class rooms, lecture centers, concert venues, training spaces and common public spaces where people tend to congregate, share an experience or socialize will have dedicated 5G nodes located internal to the space. 2. General spaces, such as typical office spaces, would be covered by 5G nodes that communicate using near/non-line-of-sight (NLOS) connectivity. 5G nodes would be deployed within common areas or hallways and would utilize NLOS connectivity to devices across the spaces. 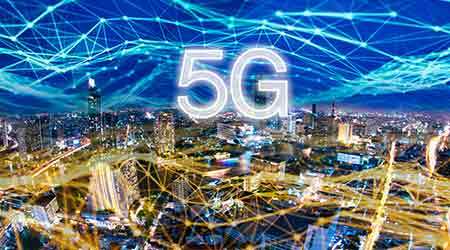 Although the specifics of a 5G rollout have not yet been finalized, it is nonetheless possible for building owners to plan ahead for the rollout. 5G will ultimately be as ubiquitous as 4G-LTE has become. By 2020, buildings that are adequately prepared for 5G deployment will become the buildings of choice.